RocksBox Review & Free Month! Look in your jewelry box Mommas. When was the last time you wore that necklace? When was the last time you bought a set of earrings? Not diamonds, but something of the Charming Charlie variety? I love collecting fun fashion pieces, but rarely wear anything but a pair of earrings and my second wedding band (the one I got when my fingers swelled and now I rather not have Mike chew on my engagement ring). I was so excited to hear about the latest addition to the subscription box industry. Welcome RocksBox. I first heard about RocksBox on Forbes and was intrigued by the idea of ‘rental jewelry’. I know some Momma’s have trouble feeling pretty or like themselves after the little one arrives and I know first hand shopping for jewelry is not high on the list of priorities. RocksBox not only makes it simple, but it makes it affordable. Sign up for $19 a month. You get 3 pieces of designer jewelry you can keep as long as you want. Return the jewelry in a prepaid envelope and they send you 3 more pieces to try. You can return your collection as many times as you like for the same monthly price. If you fall in love with a piece, you can buy it with a 20% discount. Would you rather spend $15 at Target for a necklace, or spend $19 a month for a few pricier pieces you can return when you get tired of them? I had to give it a try. The sign up process was stupid simple. I took a survey about my ‘style’ – long necklaces or short? Statement pieces? Studs or hoop earrings? 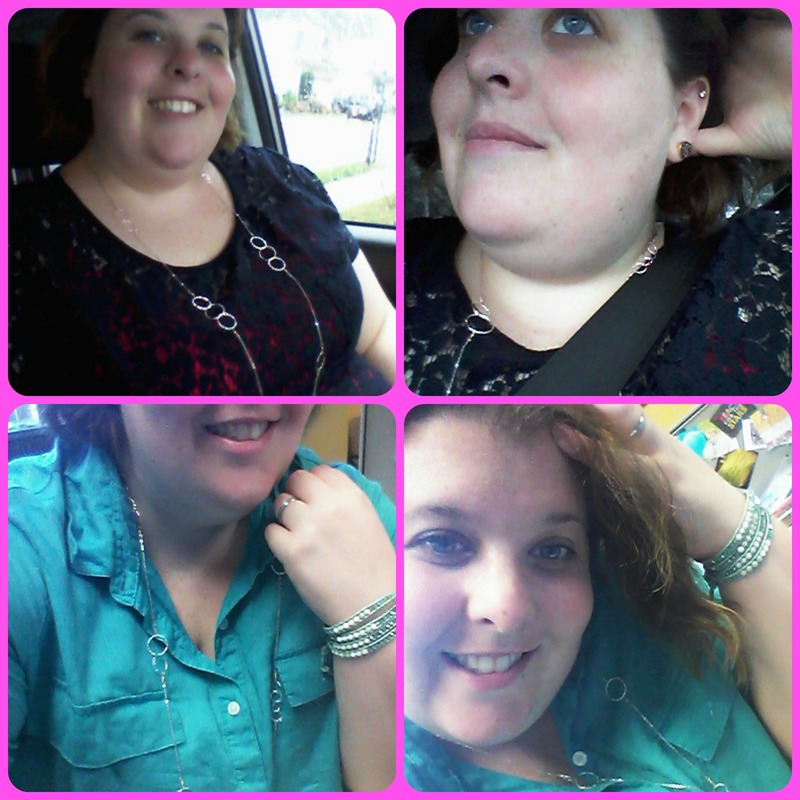 They also wanted to know where I wear jewelry – out on the town or in an office. Next was the fun part! There were pictures of different pieces and I selected the ones that appeal to me. I used this opportunity to pick what I would normally wear. BUT you can change this at any time. So when I return my pieces, I will update my profile to show some more funky, statement pieces. When I got the email my box was shipped, my mailman should have taken out a restraining order on me. I couldn’t wait to see what the stylist had picked! I was pleasantly surprised. 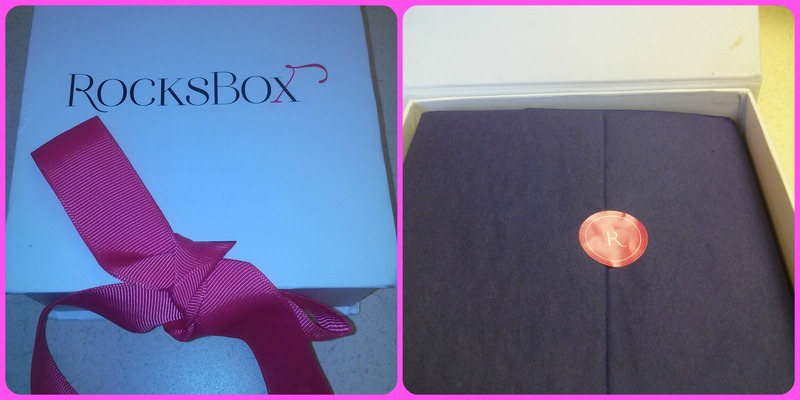 The packaging was beautiful – a white box with a pink ribbon. Inside was a blue tissue paper hiding 3 sheer white bags. My first RocksBox collection has a Charlene K Sterling Silver Circle Chain Necklace (retail: $140), Urban Gem Purple Druzy Studs in Gold (retail: $48) and Nakamol Mixed Crystals Five Times Blue Leather Wrap Bracelet (retail: $54). Side note – I didn’t get a good picture of the earrings, but the picture here is as close as I could find to the pair. They were ah-mazing! Would I have picked these in the store? YES! The necklace is simple, long and perfect dressed up or down. The earrings are super pretty and the bracelet is stylish. My first RocksBox … well, rocks. I am going to wear these pieces, snap some selfies and send them back Monday to see what other goodies I get. So far, so good RocksBox! Oh, and because you are a friend of mine, sign up yourself for Rocksbox and get a FREE month! Make sure you use one of the links within this post. This subscription box would be a great gift for a new momma. You guess it, this blog was sponsored. They might have provided me the goods, but no one can afford to buy a positive review from me, so what you read is the truth. Oh, and if you click on a link, it might be an affiliate link. It won’t cost you more, just a little somethin’ somethin’ for me.